Although this is a guitar-oriented blog, it’s important to show love to our four string brethren. In fact, I’m sure many of us dabble in bass, or at least consider ourselves decent bassists (it’s just a guitar without the top two strings rights?) given it’s similarity to the guitar. For me, bass holds a special place in my heart – for many a year it was my primary instrument, before I picked up the guitar. During my “bass period” I played in a multitude of various bands, but focused mostly on Rock n’ Roll. I had a small arsenal of basses – a Fender Jazz Bass and a Musicman Stingray – but was too young to be a serious connoisseur or collector. My Dad’s good friend Steve lived up the street, and every time we’d go to his house I’d be drawn to this funky looking bass in the corner – his Rickenbacker. Steve is an avid music enthusiast and hobbyist who has been part of all kinds of bands throughout his life, and his Rickenbacker was some of the last remaining evidence of his younger musical endeavors. Originally, Steve was a keyboard player. He had some wild prog-rock set up that most likely emulated some of his favorites of the day – Emerson, Lake and Palmer, Blue Oyster Cult, Yes, Boston, etc. At some point, I believe Steve wanted to join a particular band – a group that needed a bass player, not a keyboardist. In a common twist of fate that has led so many musicians to their true instruments, Steve traded his keyboard rig for the Rickenbacker and an amp. Now I’m not sure if this was Steve’s true calling (and I have no more information on this particular group) but regardless – Steve acquired this beautiful bass that many years later, another young musician was admiring. Steve was always a huge supporter of my music – from jam sessions with him and my Dad to my own bands, he was always a positive presence. So one lucky Christmas day (or maybe it was my birthday) Steve and my Dad decided it was time to bestow the great power of the Rickenbacker upon me. 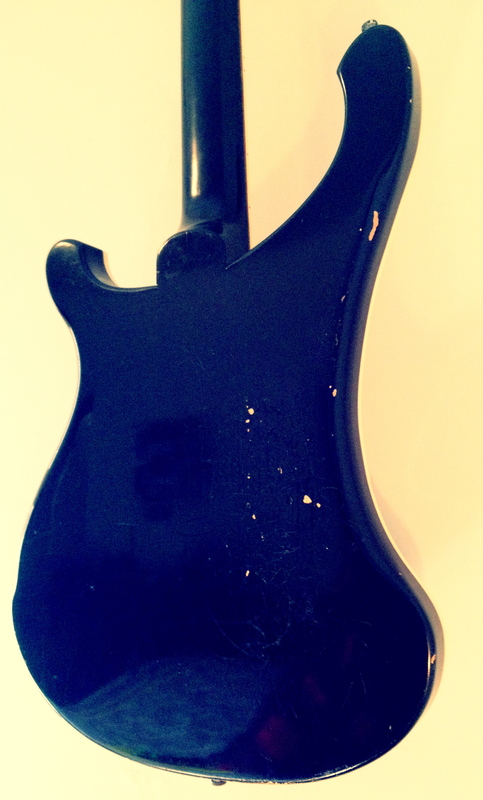 Alas, I was the proud owner of one of the coolest and most iconic instruments of all time. 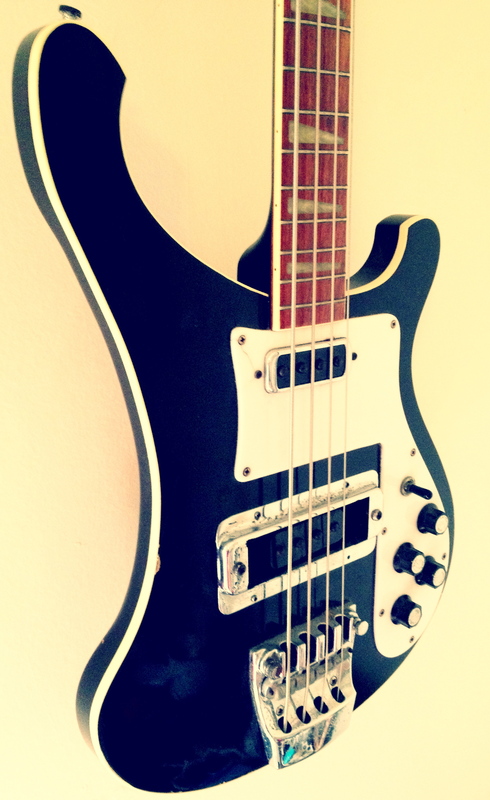 This particular Rickenbacker is a 4001 model that was made in January of 1975 (indicated by the serial number “OA499” on the jack plate). It has all of the classic Rickenbacker features – neck-through construction, triangle inlays, wave-crest headstock, and iconic body shape. 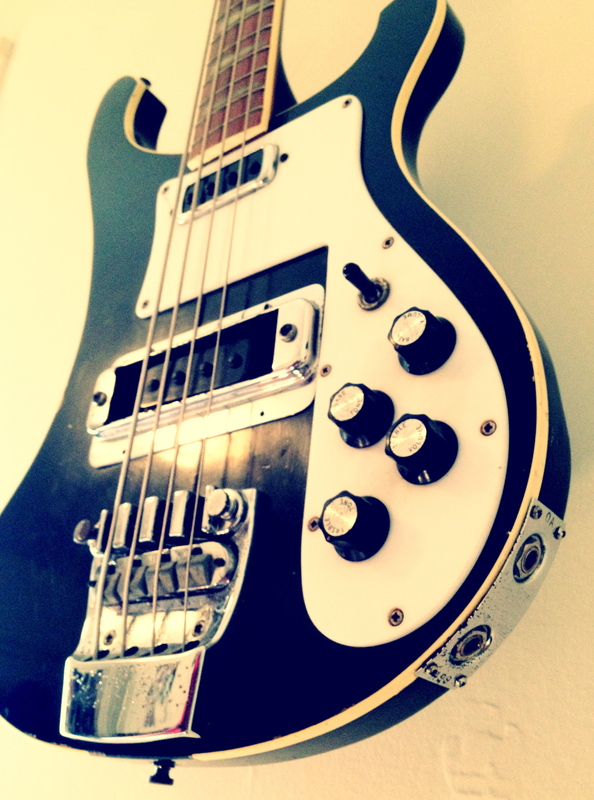 But beyond its aesthetic, there are some really unique features of the Rickenbacker. Firstly, Rickenbackers have dual truss rods as opposed to the standard single truss rod. This allows greater control of neck concave, specific to each side of the neck. 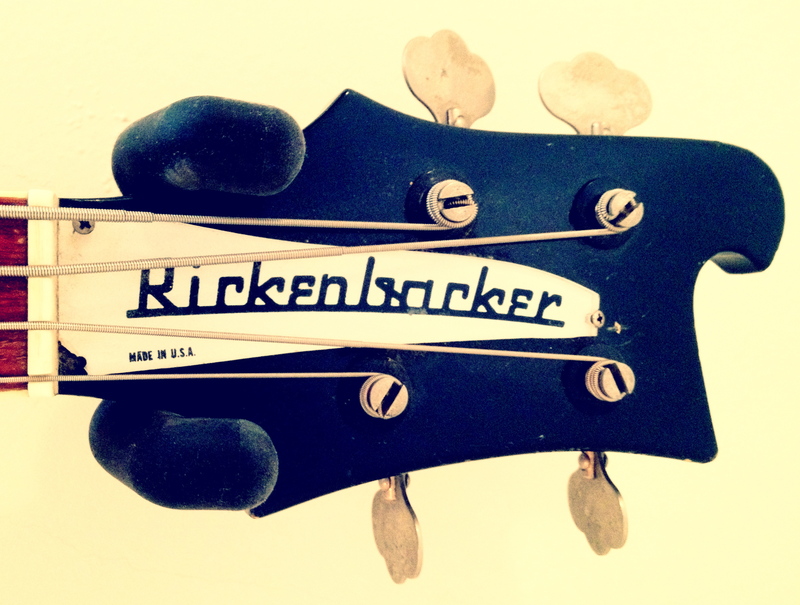 Second, Rickenbackers are famous for their stereo output jack. Yes, as opposed to a single mono output jack, as seen on most electric instruments, Rickenbacker has two outputs, giving the player an option for a stereo/dual-mono sound. As written on the jack plate, one output is “standard” and together they create the “Rick-o-sound.” Basically, this makes each output jack correspond with one pick up, so with two cables you can run them into separate amps or into the Rick-o-sound DI box that allows you to blend the two. There are many varying opinions about the practicality of this option, but nevertheless, it makes the Rick unique. Lastly, the neck-through construction gives the Rickenbacker its instantly identifiable tone that has become associated with the likes Paul McCartney, Geddy Lee, Lemmy, and many others. The 4001 is a truly innovative and unique instrument that has undoubtedly earned its placed in music history. So overall, this is a very special, classic axe that I am so grateful to have in my collection. Although now I mainly play the six string, I always come back to my roots and slap the bass with the Rick. From some random shop, to Steve’s prog-rock bands, to my own musical escapades, this bass has seen quite a bit in its almost 40 year life span. Vintage instruments are special not only for their tone, but for their history, history that can give a particular instrument distinct tonanilty, unachievable from any physical material – tone only achievable through its own unique life. I can only imagine what this bass will have to say in another 50 years! Today, there are endless ways to learn about the guitar. From traditional teachers, to YouTube, to books, to good old fashioned trial and error, there are so many ways to go about your journey towards guitar mastery and musical nirvana. But what if there was a new medium that combined the best of all these methods? 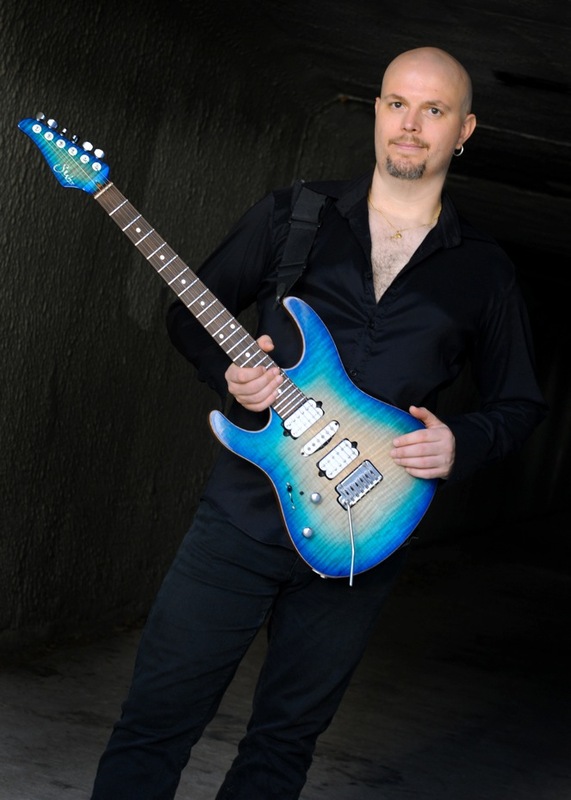 My good friend, fellow UCLA alumni, and passionate guitar player Jon Maclennan has just released an iBook titled, “Melodic Expressions: The Art of the Line,” designed specifically for the iPad. What is an iBook? It’s a “multi-touch textbook,” an interactive electronic book that integrates audio, video, photos, graphics and more, bringing content to life in ways previously unimaginable. It’s everything you’d get from a book, and then some. Plus, it’s digital, so you can store thousands of iBooks in a single iPad, while saving the trees! Like me, Jon is an avid fan of guitar great Carl Verheyen, and Carl’s approach to improvisation. In short, this school of playing is based on “lines,” instead of scales and arpeggios. So often guitarists become trapped by scale shapes and boxes that ultimately inhibit their melodic creativity. 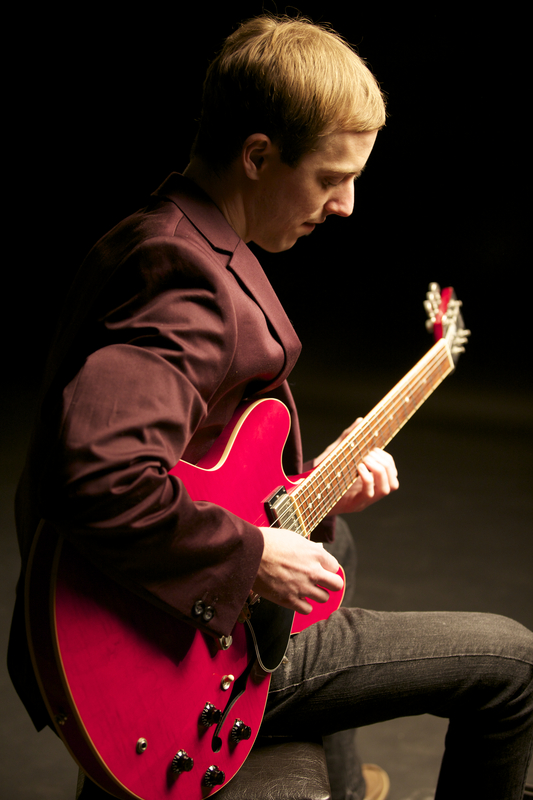 With this new alternative approach, the player practices “lines,” or melodic phrases, that can be used in improvisation. In the same way a player would use a scale shape or an arpeggio when improvising, they can use these “lines” to create far more interesting and creative phrases, and ultimately more personalized expression. Jon’s book is divided into three sections – Major, Minor and Dominant expressions. Each section is filled with various licks, corresponding to the given harmony, that range from Rock to Blues to Jazz and even Country. With the interactive iBook medium, each lick has multiple audio samples, and the option for you to plug into your own iPad and play along! There’s also a “general tips” section, where Jon will teach you how to create your own melodic expression and cultivate your own personal harmonic vocabulary. Very cool! Ultimately, I find this approach to improvisation and general music making to be the most fun and effective. Although it’s important to familiarize oneself with scales and arpeggios in order to understand music in a theoretical way, these tools should not become crutches in developing your melodic voice and improvisational style. It’s much more fun to create exciting lines and phrases that express your personal style and sound like you. Although at first it may be difficult to write your own licks, books like Jon’s are a great place to learn the craft and gather inspiration. So check out “Melodic Expressions: The Art of the Line” today on iTunes and take the first step on your journey towards developing your own personal melodic sound! 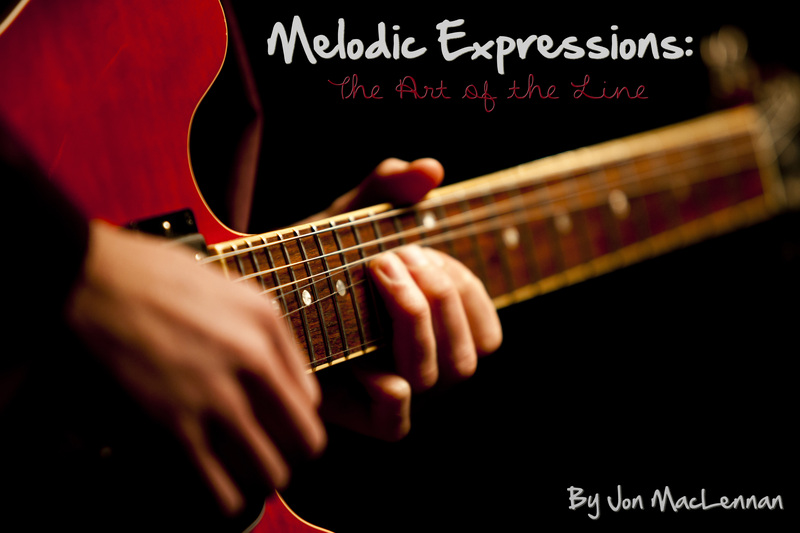 Check out this promo video on “Melodic Expression: The Art of the Line” for more info, and be sure to check out Jon Maclennan’s website for more about him and his music. Since the 1980s, the electric guitar has had a romance with classical music. From neo-classical shredders, like Yngwie Malmsteen, to Eddie Van Halen’s baroque styled tapping, to Steve Vai playing Paganini’s 5th Caprice in”Crossroads,” electric guitarists have been fascinated by the techniques and harmony used in classical music. Although written for acoustic instruments, distortion and amplification can breathe new life into classical pieces and add an intensity otherwise unattainable. Also, many of these pieces are technically demanding, particularly when adapted for electric guitar, an instrument for which they obviously were not intended. For this reason, almost every accomplished guitar player emphasizes the importance of studying and performing classical music. 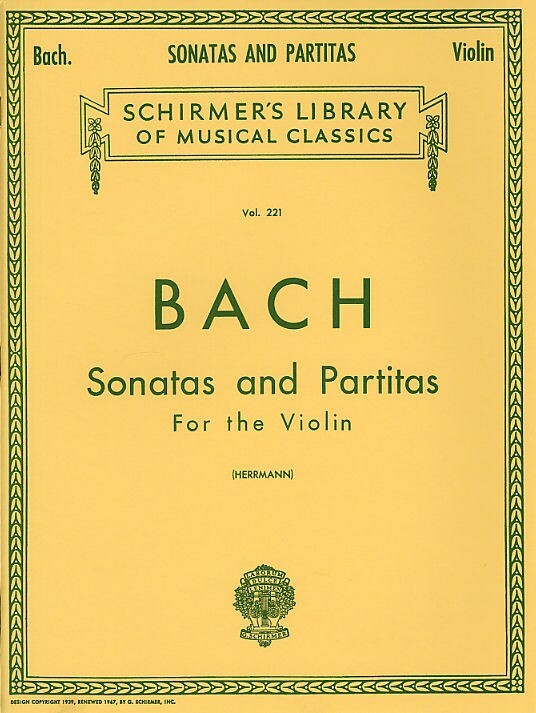 Bach’s Sonatas and Partitas for the Violin are some of the most popular classical pieces for electric guitarists to learn. Aside from being great compositions, they’re a good place to start your journey into classical music because all the pieces are written in treble clef and the violin has a comparable range to the guitar. A collection of six works composed by J.S. Bach, this book is a great introduction to the language of classical music, covering major and minor tonalities, various tempi, different rhythmic meters, and a wide range of keys. The most famous movement is “Chaconne” from Partita No.2 in D Minor, but you’ll be surprised how many melodies you recognize throughout all of the pieces. And don’t think this is just applicable to modern guitar shredders! This book was originally recommended to me by the great Jazz guitarist, Adam Rodgers, who, like many other guitarists, has spent years studying these pieces. J.S. Bach has also been a huge influence on Ted Greene, Joe Pass, and Tommy Emmanuel, just to name a few guitar masters. And let’s not forget about Bach’s massive influence on music in general! Overall, studying classical music is an amazing way to improve your technique, knowledge of harmony, compositional skills, and sight reading ability – plus, gain exposure to some beautiful music. So follow in the footsteps of many guitar greats and get yourself a copy of Bach’s Partitas and Sonata’s for the Violin! And now, enjoy a performance of the “Giga” movement from Bach’s Partita No. 2 in D Minor by one of my all time favorite guitarists, the amazing Paul Gilbert! Once again, I am introducing a new section to Riffs Of Wisdom, two in fact -“Happenings” and “Players.” One of the most significant and educational ways to progress on your journey towards musical nirvana is to learn from other players. Whether it’s through books, videos, or a good old-fashioned face to face meeting, other musicians, more or less experienced, can teach you valuable lessons. It’s often said that one hour of practice with another musician is worth ten alone, and you never know what kind of helpful knowledge someone might have – don’t judge a book by its cover right? Plus, isn’t that what all this practicing is about, actually playing music? So without further adieu, I present our first “happening” and “player” . 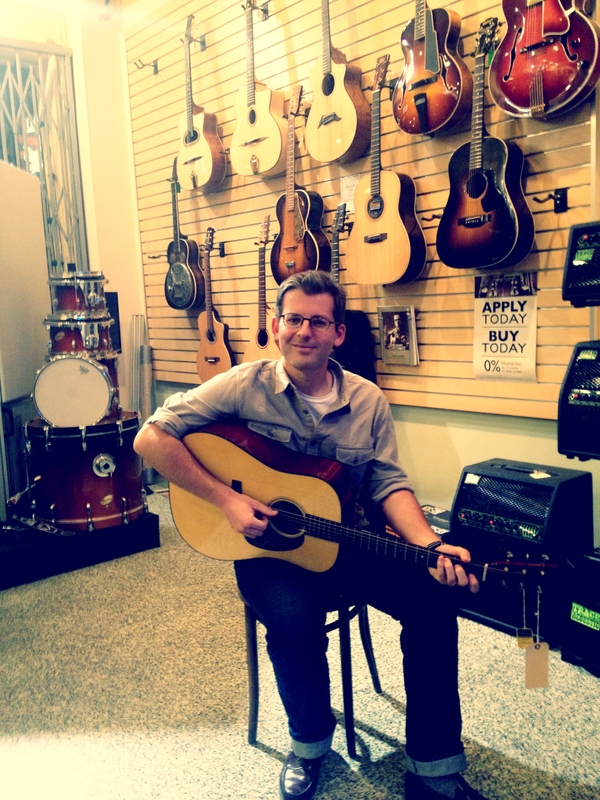 . .
Doug Morier is a Los Angeles based guitar player who specializes in Bluegrass and Old-time American Music. A fellow New England immigrant, I first met Doug a few years ago when I joined the UCLA Old Time String Ensemble. Ever since, I’ve seen Doug act as the unofficial spokesman for Old-time music and all things Americana, this side of the 405. Doug also performs his own original music, drawing influence from the aforementioned styles, and performs locally with his group, the L.A. Bluegrasshoppers. As long as I’ve known Doug, he has always been a great teacher, totally open to revealing the secrets of the craft. At last, Doug has created his own weekly teaching series called “American Guitar,” every Wednesday night at 6PM at the Westwood Music Center. For those of you that don’t know, Westwood Music is one of the coolest guitar shops in the world, with an amazing staff and inviting environment – but I’ll save that for another post. “American Guitar” will cover all the bases of Old-time American music. Flat picking, finger style, accompaniment, basic music theory, traditional songs, and lots of licks, this class will give you everything you need to begin your quest for musical nirvana – American style. Plus, Doug is a great player, with knowledge far beyond these parameters, who will gladly entertain any special requests, and make great recommendations for outside resources. So grab your gi-tar and head down to the Westwood Music Center this Wednesday for an Old-time American musical education! For more on Doug Morier, check out Doug’s website, and for more info on the Westwood Music Center, and their classes, check out the Westwood Music Center website. As in any field of study, countless volumes have been written about music. With the increasing popularity of the guitar, particularly in the last 50 years, a wealth of guitar literature has been established, much of it penned by the instrument’s greatest masters. Today, many of us learn from teachers, in person, but truth be told, if we were all well disciplined, self-motivated students, we could learn everything we would ever need to know about the guitar from books. Although it is immensely helpful to have a teacher synthesize and communicate this information, some books hold a special knowledge only receivable though the intimate reading, studying experience. In the “books” section of Riffs of Wisdom, I will shed light on some literature that could greatly help all guitarists on their journey towards musical nirvana. Some will be advanced, theoretical books, some will be instructional methods, some will be important collections of scores, and some will just be plain fun reads! Ultimately, these books have helped me gain many Riffs of Wisdom, and will hopefully teach you a few too. 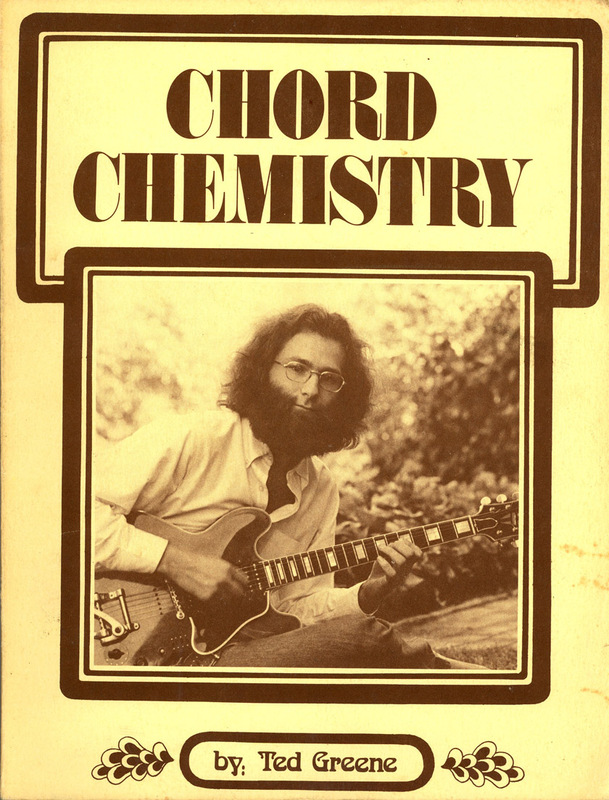 The first book I’m writing about is a guitar classic, and can be found in many guitar players’ bookshelves – “Chord Chemistry,” written by Ted Greene. Although Ted wrote four significant works about the guitar, this is by far his most well known. 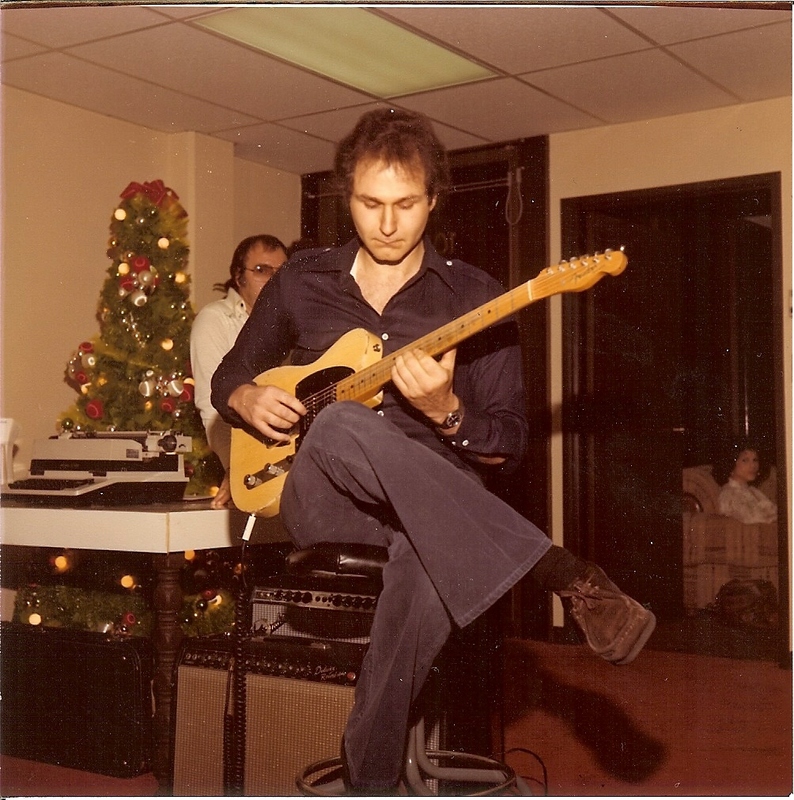 Ted was primarily a solo, finger-style guitarist. He is most commonly depicted with a vintage Telecaster, and Fender amp, staples of his signature tone. A master of music theory and harmony, Ted became famous for his intricate solo guitar arrangements, often turning Jazz standards, Pop tunes, and Beatles’ songs into gorgeous guitar ballads. He also was well known for his mastery of the blues, on which he could improvise endlessly, implementing walking bass lines, harmony and melody. Much like his contemporary, Lenny Breau, Ted was also well known for his use of artificial harmonics and close-voiced harmony, similar to that of a pianist. Overall, he was an amazing, unique player – check him out on YouTube. But more so than a player, Ted was a great student of the guitar – and as a result, a great teacher. Ted had Asperger Syndrome, a mild form of Autism, that made him an extreme introvert and an obsessive person. Ted hardly left his apartment (his number of public performances can be counted by hand), and his greatest obsession was studying the guitar. He hosted a vast number of students in his guitar den, which was cluttered by stacks upon stacks of papers, many pertaining to his studies. He would conduct in depth analyses of J.S. Bach, Wes Montgomery, and different musical styles. He could improvise any tune in accurate Baroque styling, and had an impeccable ear for harmony. 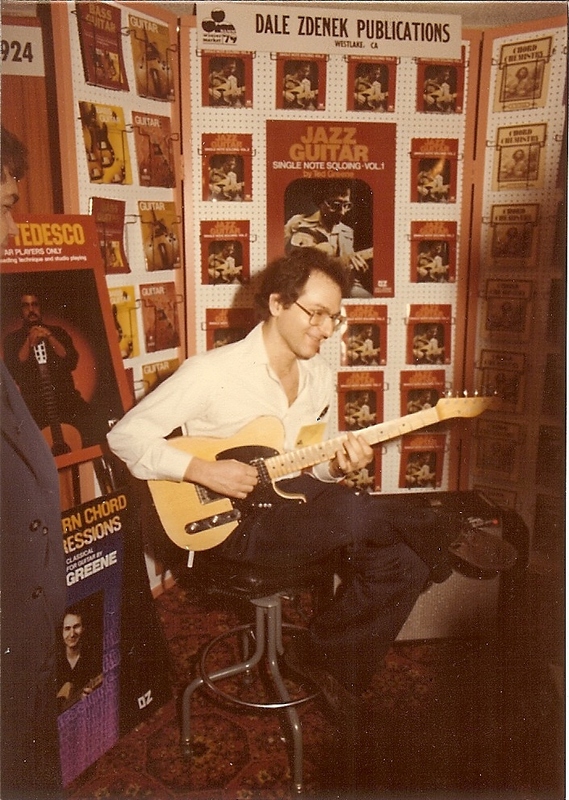 Many students were fortunate enough to learn from this guitar master in person, but for the rest of us, Ted left four jam packed books – Chord Chemistry, Modern Chord Progressions and the two part Single-Note Jazz Soloing. And although these books may seem thin, they are dense! As Ted writes, Chord Chemistry “examines chords and their application.” This is not a beginner’s book, but Ted makes an effort to bring the reader up to speed, explaining different chord types and their purposes. The rest of the book is an attempt to translate Ted’s complex harmonic language. Some of the most valuable sections discuss specific chord substitutions, when they are appropriate, and the effect they will have. There is also a dense portion of the book where Ted diagrams all of the chord voicings he uses – and believe me, you would not have thought of many of these! They are also important sections about the Blues, right hand technique, Rock progressions, and counterpoint. Overall, this book is dense! Don’t expect to take it all in the first time. It’s been on my book shelf for years, and I constantly revisit it, always learning something that I couldn’t previously comprehend. If you put in the time and effort, this book will greatly help you progress, not only on your guitar, but on your journey towards musical nirvana.